The low gas prices over the last four months have been no secret to consumers. The average price of unleaded gasoline has just recently began to increase. On January 25 the average price of unleaded fuel was $2.03 per gallon nationwide. Looking ahead to February 2 average national prices indicated a value of $2.05 per gallon. These prices are still stagnate, and much lower than last year’s average price per gallon, which was $3.28. The cause of the extravagant fall of gasoline prices is attributed to numerous factors, the most prominent being an increase in oil drilling close to home. New drilling in the Gulf of Mexico with the use of hydra hydraulic fracturing on land, has been a new source for America to import oil. Compared to relying on foreign oil producers, shipment and distribution is significantly cheaper through the Gulf. Overall, American oil refineries are not spending the exorbitant shipment costs they were once handing over to more expensive foreign crude oil producers. Considering the basic principles of supply and demand, a recent explosion of a major Exxon Mobil (NYSE: XOM) oil plant in southern California is expected to cause a spike in gasoline prices. 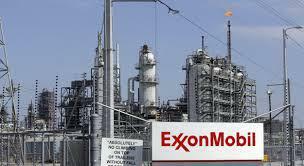 An Exxon Mobil refinery near Los Angeles exploded on February 18. The explosion resulted in only minor casualties which included non-life threatening injuries to four Exxon workers, and minor damage to surrounding buildings. Firefighters at the scene reported gasoline flowing on the ground, which is believed to have been the cause of the accident. In an interview with NBC news, Exxon confirmed that there had been an “incident” at the refinery, further details were not provided. Currently The Division of Occupational Safety and Health, is in the process of investigating the blast. Exxon Mobil has been forced to stop all production at the facility until inspectors are able to officially investigate, and determine the cause of the explosion. The massive refinery has 650 registered employees, and operates in conjunction with 550 outside contractors. Overall, the refinery was the sole provider for approximately 10 percent of gasoline for southern California. Nationwide, oil prices are expected to begin to rebound over the coming weeks leading into the spring. Analysts expect that as refineries shift to producing summer blends of fuel, prices will rise due to federal law which requires emission standards to meet specific EPA standards when combusting in warmer temperatures. Higher summertime EPA standards result in costly production of gasoline in order to properly make a blend suited to the regulations. As for the people of Southern California, it appears as though the rise in the cost of gasoline is closer than many hope. A version of this article appeared in the Tuesday, Feb. 24th print edition.